The year 2017 marks 150 years since Confederation. As the official gardener of Canada’s Capital, the National Capital Commission(NCC) planted special Canada 150 Tulips to mark the occasion. The flower’s elegant white bloom with red flames features Canada’s national colours and recalls the iconic maple leaf of Canada’s national flag. 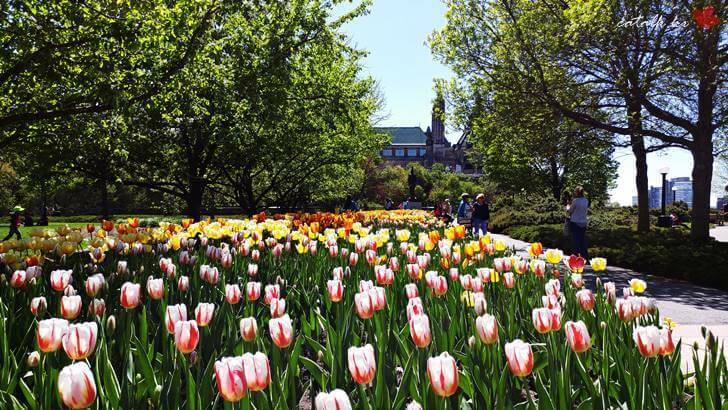 NCC planted thousands more of the Canada 150 Tulips for the Canadian Tulip Festival that it held annually in May in Ottawa, Ontario, Canada. The tulip is a symbol of the friendship between Canada and the Netherlands. If you want to know about History of the Canadian Tulip Festival , please check the previous post. 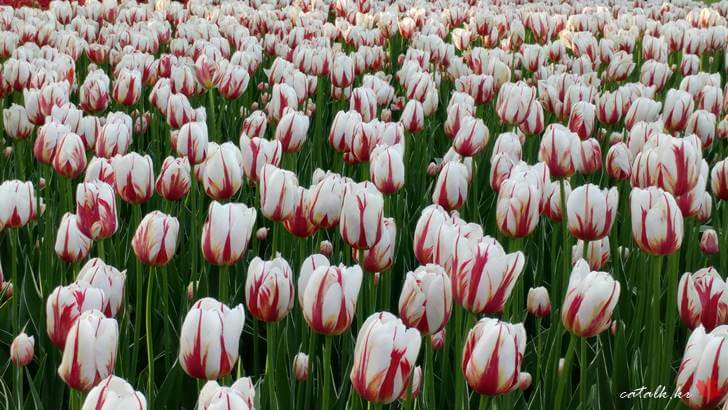 The NCC Partnered with the Kingdom of the Netherlands, the Department of Canadian Heritage, Home Hardware and Communities in Bloom for the selecion and distribution of the Canada 150 tulip bulb.